Haunted by tragedy, a young woman struggles to return to normalcy. It’s common to take for granted just how easy some of us have it. We pass folks in the store, on the street, or even have brief encounters without knowing what struggles some people may be going through. Every person has a story, and some of those stories are tragic. She’s sooo weird!…. And Old! Just take off. Be nice tho. When Becky leaves for the night, we watch as Abby’s fears surface and her emotional issues fight to take over. You’ll find yourself wondering, is she just too far gone to have any kind of normal life? Is she delusional? Is she haunted by her past, or is it really coming back to get her? Abby’s strength will make you root for her, her struggle will make you sympathize. She is complex, and troubled…and you’ll find yourself just wanting her to be okay. Mental illness is a silent struggle, and ABBY portrays that beautifully. This is a short drama that offers an excellent opportunity for a female lead to showcase many sides of herself. Budget: This can be filmed on a very low budget, in basic locations like a bedroom. About the Writer: Ashley Hamilton is attached to direct and star in the horror film Gothic Harvest. About the Reviewer: Marnie Mitchell-Lister has creative A.D.D. Some of her writing can be read here: BrainFluffs.com. Some of her photography can be seen here: marnzart.wordpress.com. Over on the Original Scripts page are seventeen original scripts for your reading pleasure. I recently caught up with Joey and asked him a ton of questions about Roadmap Writers – he was good enough to take some time and provide answers and some great insights. Q: First up, how about a little bit of background on the man behind Roadmap Writers, how did you get into the industry? A: I used to be an assistant at a company called Bold Films (that did movies like Drive, Whiplash and Nightcrawler) and part of my job was to turn away unsolicited writers/submissions. It was clear from most of the writers’ approaches that many had zero idea on how the industry works and how to put their best foot forward. So me and my team wanted to create something that helped writers get the lay of the land by working with execs in the industry that develop and sell material for a living. Q: How would you describe Roadmap Writers to a new writer or producer? A: Roadmap is an educational hub for writers to connect with and learn from hundreds of executives on our roster. Our monthly programs serve as stepping stones to help writers create the strongest portfolio and pitching materials possible. Our programs are feedback-driven and put the writer in immersive and interactive learning environments with the goal of making them competitive in the marketplace. Q: You have helped over 40 writers get signed up to agencies, do you see this as a key success criteria? A: Absolutely. For us, our goal is to equip writers with the experience and knowledge needed to get the attention of entertainment industry professionals. Working with writers is our passion, so when we’re able to help a writer get signed, it’s the ultimate reward for us. It’s such a great feeling and why we’re so fired up to do what we do. Q: You’ve also a few writers optioned too, any close to going into production that we should be watching out for? A: Yes. Roadmap has worked with production company Route One Entertainment twice on an annual contest where the winning script will be produced by them. Keep watching the trades for those announcements! Q: And what was it like with the first few? Validation? A: It’s not really validation for us because we know that we know what we’re doing. It’s more validation for our community to know that the industry is not a cold and distant place sitting on top of a mountain. It’s accessible if done right. Q: Of these successes which are your proudest of, or most pleased with? A: I always love to see success stories for the underdogs (i.e. diverse writers, writers that don’t live in LA, etc). I especially like to see writers of an older age getting traction because it’s proof that it’s never too late to follow your dreams. Q: There are many other players in the training market these days, what do you think differentiates RW? A: We really pride ourselves in working with what we call career writers and not hobbyist writers. We take the time to understand the writer as an individual and strategize to put them in front of the executives and literary reps that speak to their writing goals and style. We want to work with writers who are willing to put in the time and effort to master their craft and take advantage of every opportunity we have. We consistently encourage writers in our programs to audit other pitch and feedback sessions so that they can still learn from the exchanges and conversations between other writers and executives. We also don’t want to work with EVERY single writer trying to break in. That’s impossible to manage and prevents Roadmap from being a cold, assembly-line machine like so many other places. We have turned a number of writers away from using our programs. We only want to work with writers that want to do this as a career. Not writers that want to be famous in 24 hours. We only want to work with writers that we would feel comfortable putting in front of execs. Q: You describe yourself as a training service, but you also offer pitch service, mentoring etc, can you give us a brief run down of the paid services? A: We give writers a number of different resources to grow in their craft. Our pitch classes give writers an opportunity to practice pitching industry professionals at top management and production companies. The feedback they receive allows them to make changes to strengthen their pitch and identify ways to maximize effectiveness. For writers looking for more hands-on work to elevate their script we offer month long mentorships with executives who will help to develop and provide detailed feedback to the writer on their material. Q: And what about the RW Network, how does that work? 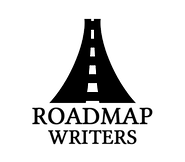 A: The Roadmap Writer Network is our monthly program designed to give writers a comprehensive overview of a variety of Roadmaps education offerings. The RW Network includes one Open Pitch Session – Verbal or Written to an industry executive. Writers also participate in a 5-Minute Elevator Pitch to 3 execs in an online roundtable setting. Some of our past elevator pitch sessions included execs from Dark Trick Films, Original Film, Rumble Films and Lawrence Bender Productions. Writers also receive 4 Educational/Interactive Webinars covering a wide range of screenwriting & industry topics. All webinars are recorded so if you can’t attend live, you still get the recording. Writers also get a private logline review with Roadmap’s Director of Writer Outreach and a group pitch prep webinar with literary manager Chris Deckard of Fictional Entity. Q: And any free content or tasters available for people to experience RW? A: Definitely. We host free webinars sessions typically once a month on a variety of different topics. For example, we recently had a free webinar on Exploring TV Diversity Initiatives: Why We Need Them that was hosted by an exec from AMC Networks. Q: There are a lot of people competing for aspiring screenwriter’s limited money, from guru’s, through coverage services, and a plethora of competitions. What makes RW a good investment? A: We differentiate ourselves by bringing literary reps and executives into the educational process. Writers are learning directly from those working in the industry. We also know that transparency is paramount and while others services/competitions talk in vague circles we pride ourselves in being direct and candid with our writers. Our reputation with industry professionals is what makes us an invaluable resource. So maintaining the highest level of openness with our writers is extremely important to us. Lastly, our main goal is to try to get writers out of our programs (by providing them with enough tools and executive allies that they are ready to conquer the world without us!) and not feel like they have to stay in programs forever. We tell writers in our Top Tier programs that the main mandate is that we want writers out of the programs as fast as possible. Q: And what are your thoughts on the plethora of competitions out there for screenwriters, RW run a few too… are any actually useful in careers terms? A: I think competitions can be very helpful for a writer to get more industry exposure for themselves and their material. I think there are a handful of competitions that are doing things at a very high level. My advice to writers is to always look at the success stories of the competition they are looking to enter. What have they done to help further the career of its past entrants? Who are their judges? Identifying those things can help you determine the quality of the competition and make an informed decision. Q: And what changes have you seen in the industry since you started? A: The desire to find diverse voices is very real and has increasingly become part of the conversation when speaking with execs and literary reps.
Q: What future developments are in the pipeline for RW? A: We’ve got some great new executives and companies that we’re bringing into the fold which will help increase the reach and access for our writers. We’re also looking to do an overhaul of our current writing competitions with the goal of generating even more opportunities for writers. And of course, we are always refining our programs based on writer feedback to make sure our offerings are the best they can be. Q: Any advice in general for the aspiring screenwriters on Simply Scripts in terms of writing more saleable scripts and breaking in? A: Never chase the trend. Write a story that speaks to something you are passionate about. Don’t forget that your characters are everything. Let us inhabit your story and your world through them and experience the fears and vulnerabilities that we has people are afraid to face or acknowledge. Also, I always tell writers who are newer to writing to look on scripts on SimplyScripts.com. I often host free opening page analysis training programs to writers and if it’s clear they don’t know how to format, I direct them to Simply Scripts so they can learn from scripts that have actually been produced. Also, when pitching or networking remember that you are human first and a writer second. Execs don’t want robots. They want human beings they can relate to and work with for years and years. Q: Best and worst screenwriting advice you’ve had/heard. Worst Advice: “It’s okay if it’s not on the page. We’ll fix it on set.” Needless to say that is a recipe for disaster. A: Grilled cheese sandwich with chicken. Q: Fave thing to do outside of RW and screenwriting related stuff? A: I’m obsessed with dogs. I’m the dog father to two gorgeous pit bulls, Piper and Gilly. I work a lot with a few local LA dog recuse shelters as well as being on the board of one, and am always happy to help a dog find a loving home. Anthony, do you want to adopt a pit bull? Q: Any final words of advice to the aspiring writers out there? A: Trust your gut. Know that this business is built on relationships so doing everything you can to build them. Once again, thanks to Joey for taking time out of his busy schedule for the interview. Entries (RSS) and Comments (RSS) | 81 queries. 0.385 seconds.